In all my decades of collecting on the LKC - mainly books and contemporary magazines - one specific title eluded me. 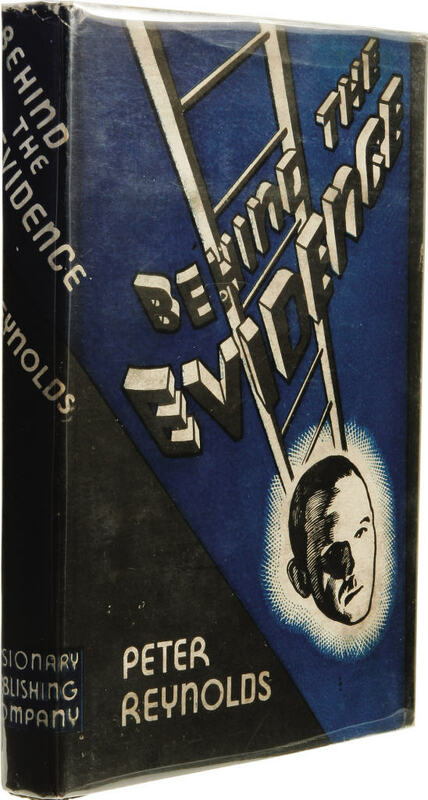 Behind the Evidence by Peter Reynolds (a pseudonym) is summarized thusly by Wikipedia: "The novel concerns conspiracy theories and a case similar to the Lindbergh kidnapping but set in a fictional Germanic country." One website reports: "only 100 copies were printed, and of these only 37 were correctly hardbound. Of these, approximately 15 were sold with the remainder being taken by the author." This very RARE book is now being offered by ABE books at a fair price of US$650.